The Times of Israel reports: Israeli security forces on Sunday evening thwarted a stabbing and firebombing attack by a Palestinian minor, who was arrested near a Border Police base in the West Bank, a spokesperson for Israel Police said. The youth was caught approaching a Border Police base in the Jericho area, carrying a knife, two Molotov cocktails and a small Palestinian flag, the police said in a statement. The base is also located next to the settlement of Vered Yericho. The police statement said the boy admitted to planning an attack on Israeli security forces. 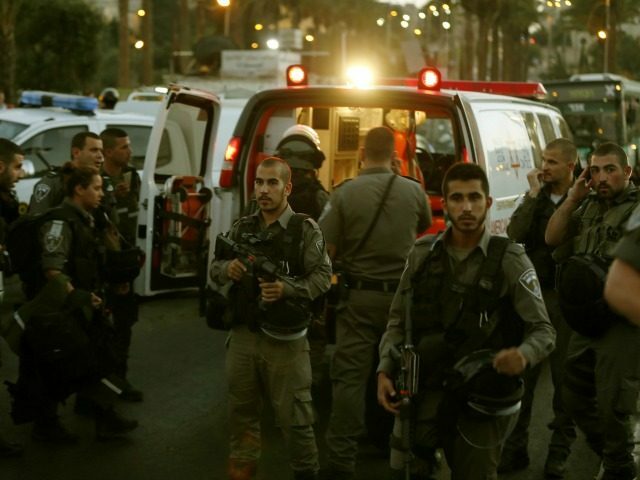 Reports in Hebrew-language media said the suspect was 12 years old. The incident comes amid a surge in attacks in recent days after nearly a month-long lull in violence. The six attacks over the weekend — four stabbings, a car ramming and a rock throwing — caught many Israelis by surprise, as the violence that marked 2015 and early 2016 appeared to have waned in recent months, and raised fears that regular attacks could return.